TEG Live proudly present Royal Wedding Gospel Choir, The Kingdom Choir, for their inaugural Australian tour. The Kingdom Choir have attracted worldwide acclaim following their show-stopping performance of 'Stand By Me’ at the Royal Wedding, in front of nearly 2 billion people, and performance at the Closing Ceremony of the 2018 Invictus Games in Sydney. 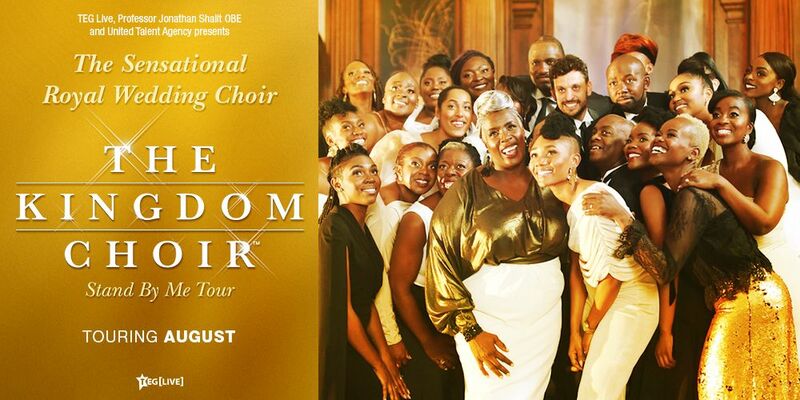 Formed of individual singers and performers from in and around London, England, The Kingdom Choir is a group of likeminded artists dedicated to creating a sound that demonstrates the community they share. The Choir has become known for its united sound, warm energy and enthusiastic performance. Led by one of the UK’s most respected gospel tutors and choir conductors Karen Gibson, The Kingdom Choir is a sterling example of the unity within the British gospel community.